RATE IT! Natalie Portman Unleashed! It's time to turn your game crush into a reality! Angry Birds, the smart phone app that conquered the world, is now available in 3D - sorta! 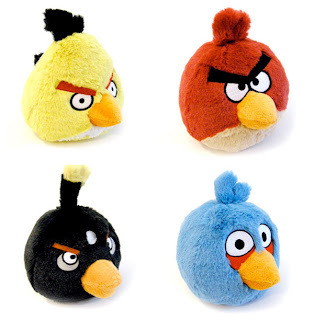 Plush birdies... five different varieties for your shopping pleasure! Just don't tick them off, okay?